Windows 9 can right the wrongs (both real and perceived) inflicted by Windows 8, as well as make Microsoft more competitive with Apple and Google. 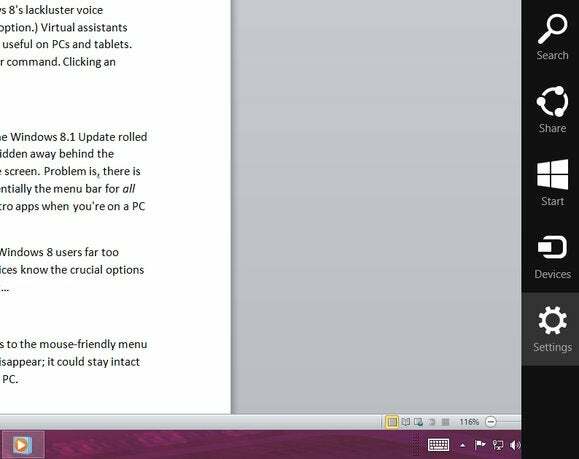 Windows 9 doesn’t yet have a release date, but we’re already considering all the tweaks and features we’d like to see in Microsoft’s inevitable OS. Sure, Windows 8 has gotten better with each revision. 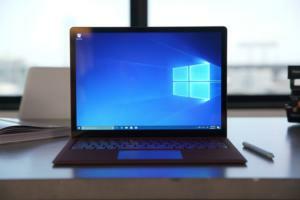 The initial version was saddled with a confusing user interface, but after two major updates Windows 8 is finally polished enough—and balanced enough—that its mere presence on a machine should no longer make users recoil in fear. But a full version update to Windows 9 could still go a long way in helping Microsoft distance itself from the bad Windows 8 vibes that remain. 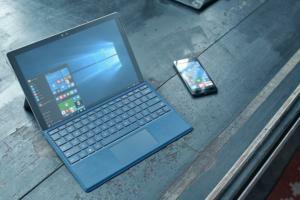 So whether it’s coming sooner or later, these are the 15 things we want to see as Microsoft continues to evolve its mobile-desktop mash-up. Today’s Windows 8.1 Update lets you default to the desktop and desktop programs when you’re using a proper PC. These are nice concessions to desktop users, as is the new system-wide taskbar that can highlight Metro apps. Still, the operating system is just begging for a Start menu and the ability to run Metro apps in desktop windows. Good news: Microsoft has already announced that both of those much-needed features are coming in future Windows updates. Just be aware that the reborn Start menu will mash up desktop functionality with Metro aesthetics. Check it out. Windows 8.1 handles display scaling far better than previous versions of Windows, but the way the OS natively handles high-resolution monitors is still far from perfect. As laptop and desktop display resolutions expand, the desktop interface simply shrinks rather than scaling to fit the screen. Sure, it’s crisp. But, geez, it’s small. While you can enlarge text and icons manually, it’s a pain, and some elements of Windows—not to mention numerous programs—just can’t be manually scaled. Scaling desktop elements on a 13-inch laptop with a high-res display quickly consumes your on-screen real estate, as well. 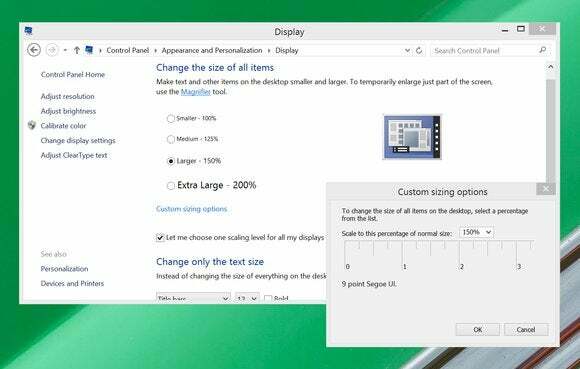 With ultra-high-res displays becoming more common and less expensive, it’s a problem Windows 9 needs to fix, pronto. The Cortana digital assistant is one of Windows Phone 8.1’s standout features, delivering a blend of Siri and Google Now-like functionality wrapped in a delicious, oh-so-sassy personality. Once activated, Cortana can help you find things to do nearby, answer your questions, set reminders, and even help you plan your day. Cortana would be a stellar addition to Windows 9, especially given Windows 8’s lackluster voice dictation support. (The OS offers voice controls, but only as an accessibility option.) Virtual assistants have largely been left to phones, but their core capabilities would be just as useful on PCs and tablets. But please, please don’t leave the microphones constantly listening for commands. Clicking an activation button in the taskbar doesn’t take much effort. 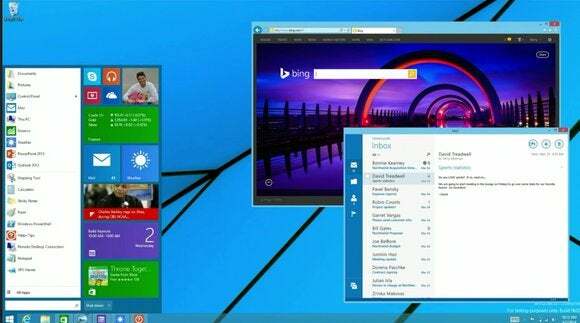 The Metro version of Internet Explorer and the desktop version of Internet Explorer are two distinct beasts in Windows 8, with drastically different interfaces and abilities. Toolbars sit in different places. Options hide in different places. Heck, even the ways the two browsers handle plug-ins are night and day. Hey, Microsoft, could you put at least some minimal effort into unifying the two vastly contrasting experiences? 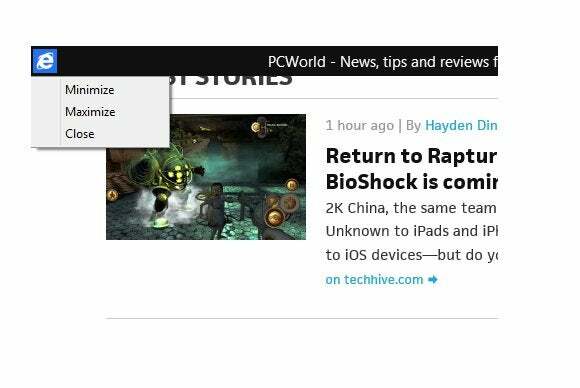 At the very least, figure out a way to allow the desktop IE to send articles to the Windows Reading List app for later perusal. It’s a crime that there isn’t even a plugin for that yet. Speaking of Internet Explorer, it’s a travesty that Windows 8 won’t let you use that touch-friendly tablet version if you have another browser—Chrome, Firefox, whatever—set as your desktop default. This actively prevents me from using IE more than I do on hybrid-style devices. I love Metro IE when I’m using a touchscreen, but not enough to stop using Chrome as my everyday browser. Fix this in Windows 9, Microsoft! Google and Apple are taking steps to tie their mobile and desktop ecosystems closer together. For example, Apple is enabling more seamless workflows across devices, allowing you to receive phone calls and texts on your desktop. You’ll also be able to use your Android phone’s Bluetooth signal to automatically authenticate you and unlock your Chromebook. From universal Windows apps to deep multi-device syncing enabled by OneDrive, Microsoft is also drawing its far-flung operating systems closer together. But we’d like to see more tricks borrowed from the iOS and Android playbooks. They’d all be great features for Windows 9—ideally with support for all mobile platforms, and not just for Windows Phone. The new Power and Search icons that appear on the Start screen in Windows 8.1 Update are a big help, but far too many vital features are still hidden away behind the Charms bar. There’s absolutely no visual indicator that the Charms bar is even there, and worse yet, it’s essentially the menu bar for all Metro apps. Simply adding the Charms bar’s Settings, Devices, Share, and Search options to the mouse-friendly menu bar introduced in Windows 8.1 Update would cure the problem completely. The Charm bar doesn’t need to disappear; it could stay intact for use on touchscreen devices. 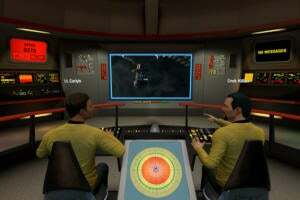 But it’s superfluous and clunky on a proper PC. 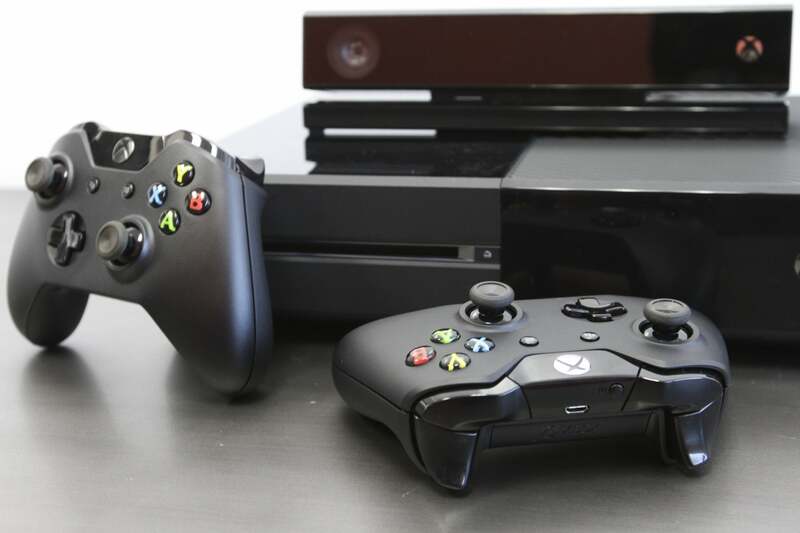 For all the talk about pushing a seamless “One Windows” experience across its sea of devices and making the Xbox One more than just a gaming machine, the console sure seems to be the black sheep of the Microsoft family. 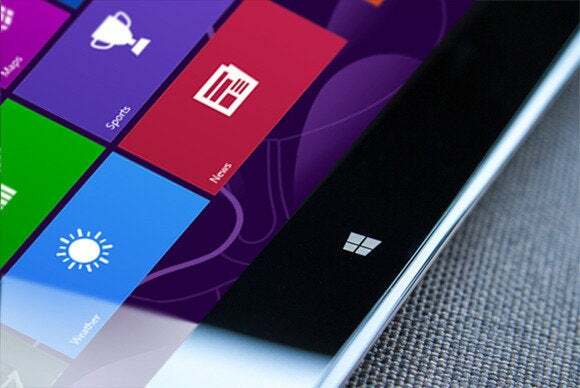 Windows 9 could bring the lost lamb back into the fold. 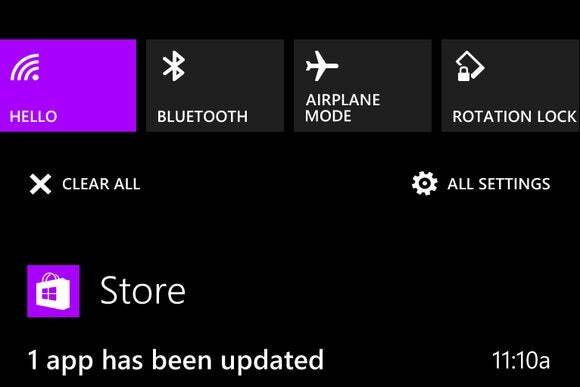 For example: Microsoft could install Xbox Smartglass on your Windows devices by default if your Microsoft account is tied to an Xbox profile. 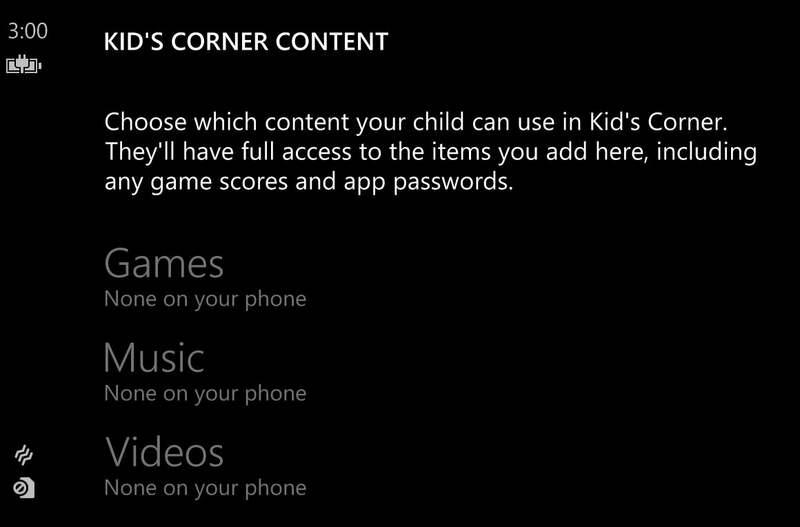 Or what if you had the ability to manage your Xbox account or message Xbox Live friends within Windows? And, for all that is holy, Microsoft could enable some sort of AirPlay-like capability so that you could cast media or share your display on the big screen with minimal fuss—and not just the stuff you bought from the Xbox Video and Music apps. 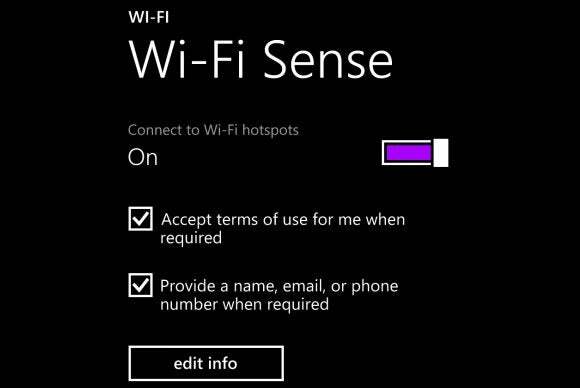 Wi-Fi Sense is a tremendous addition to Windows Phone 8.1. It automatically logs you into public Wi-Fi hotspots (even agreeing to terms of service if configured properly), and lets you share secure network access with your contacts while keeping the actual password hidden from them. In a word, it’s great. 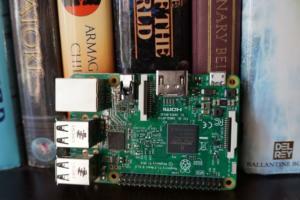 And it’d be just as handy in Windows 9 laptops and tablets—along with some changes. I’d like a smarter version with options based on one’s physical location. 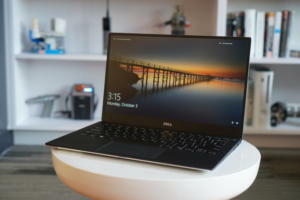 It’d be swell to have your machine automatically log into your personal account and show you leisure apps when connected to your home Wi-Fi; sign into your work login and elevate productivity software when you’re on your business network; and automatically activate a VPN on public networks. Let’s keep the Windows Phone 8.1 love flowing. 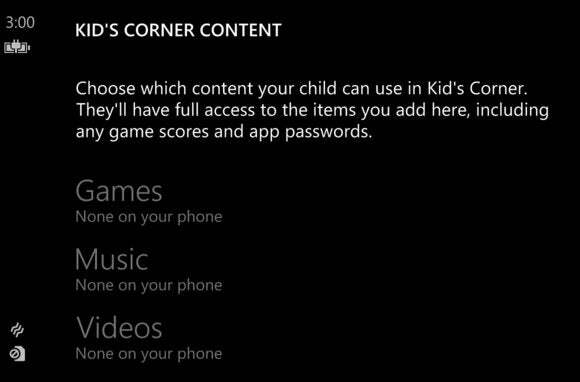 Kid’s Corner is a handy WP8 utility that lets you customize exactly which apps your kids can use when they’re mucking around with your handset. As a parent, you can hand your tyke your phone and rest easy knowing he or she will be able to cut ropes and sling irritated fowls without potentially booting up Netflix and getting an accidental face full of Orange is the New Black. What’s more, it’s dead simple to configure. 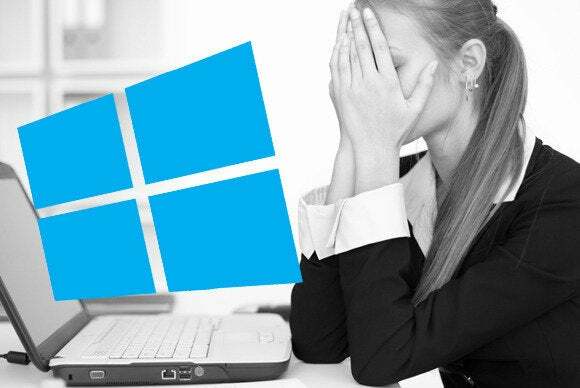 Windows proper has long allowed you to create separate logins for children, but managing the accounts—not to mention nitty-gritty software selection for those accounts—is far more complicated than the streamlined Kid’s Corner whitelist solution. After years of promoting the idea that Live Tiles are just as functional as traditional notifications, Windows Phone 8.1 embraced reality and introduced a new drop-down Action Center. Here you can view unread notifications and tinker with quick-access options for Wi-Fi, VPN details, and more. Windows 9 needs to face the facts as well. Windows 8’s system-wide app notifications are handy indeed, but Windows 9 needs a central notification center (preferably supporting both Metro apps and traditional software), and it needs to be in a location accessible in both the desktop and Metro interfaces. The Charms bar or the newly universal taskbar scream out as potential homes. This is more for Windows 9 tablets than anything else, but there’s no denying that Windows Phone 8.1’s stellar Word Flow keyboard—which lets you swipe your thumbs from letter to letter, never lifting a finger off the screen—is a vast usability improvement over Windows 8’s OK-but-ho-hum virtual keyboard. 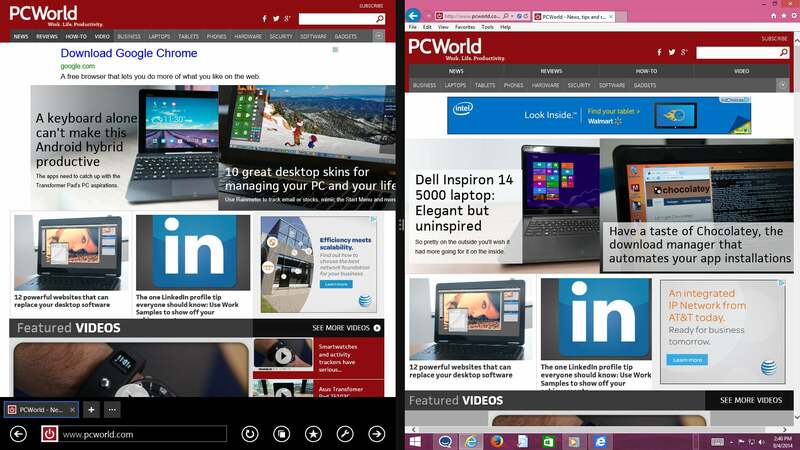 Bringing Word Flow to Windows 9 is pretty much a no-brainer. I’ve said it before and I’ll say it again: The Windows 8 Mail app needs POP support, and the Calendar app needs CalDAV support so it plays nice with Google Calendar. Will it help if I say please? Finally: If you already have a consumer—not business—Windows 8 PC, Microsoft should give you Windows 9 for free. If nothing else, consider it an apology for the entire Windows 8 debacle. But with every other major operating system offering free upgrades to new versions, it’ll be hard for Microsoft to convince Average Joes and Janes to actually pay to upgrade to Windows 9. 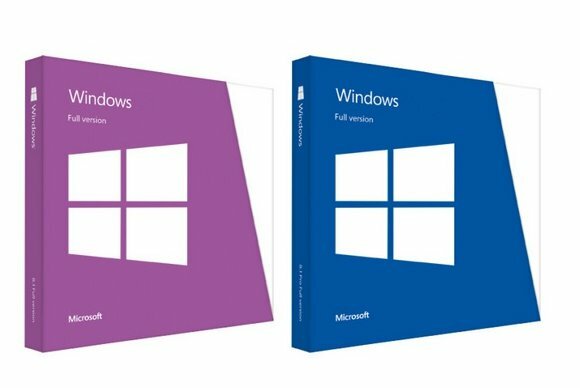 Few consumers pay to switch to a new version of Windows anyhow, upgrading only when they buy a new PC. 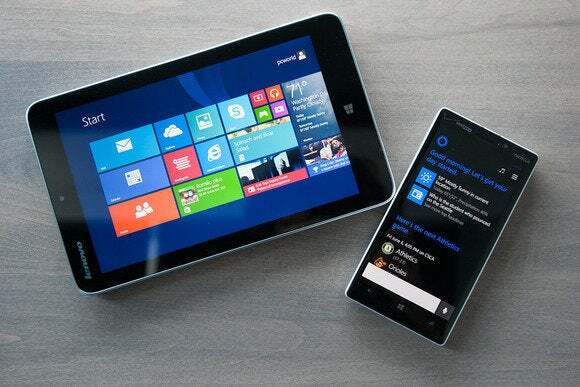 What’s more, having most users on the same OS version could be a boon to Microsoft’s blooming services business. Read our case for Windows going free in the wake of OS X’s radical new no-cost pricing.